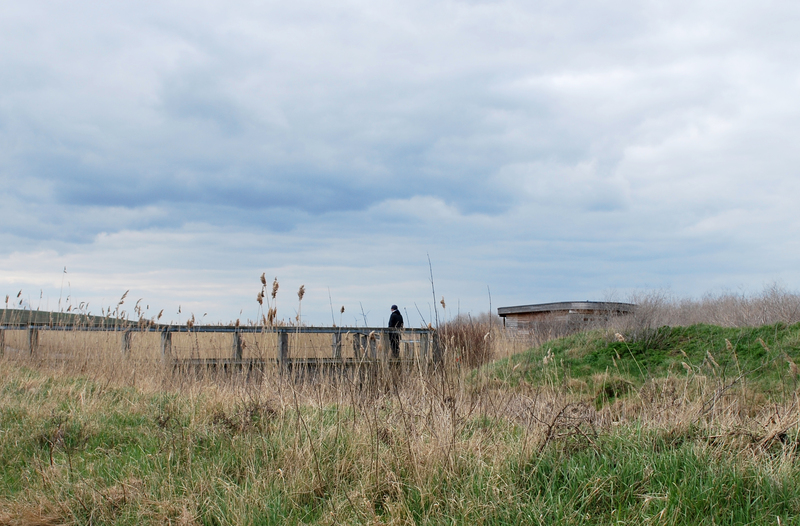 On Easter Sunday, despite it being the day after a mid-night appearance of a nasty stomach bug which left me pale-faced and swaying, I adopted the stoicism of my mother and accompanied the visiting family to Rainham Marshes and the RSPB Nature Reserve situated there. 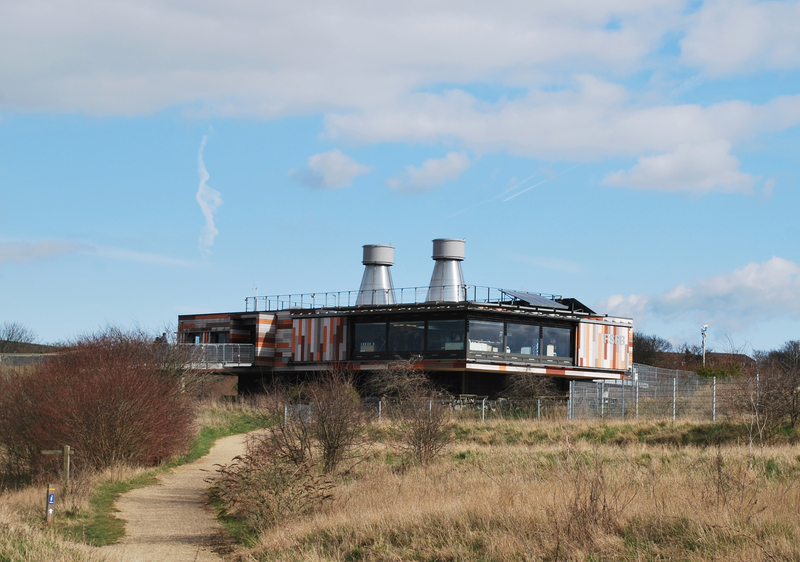 Having seen the outstanding visitors centre a thousand times in photos (it being perhaps the most well-known of my employer’s projects) but in over 5 years of employment never in person, I was rather embarrassed to discover it is less than 5 minutes from my house. Oh well, better late than never. 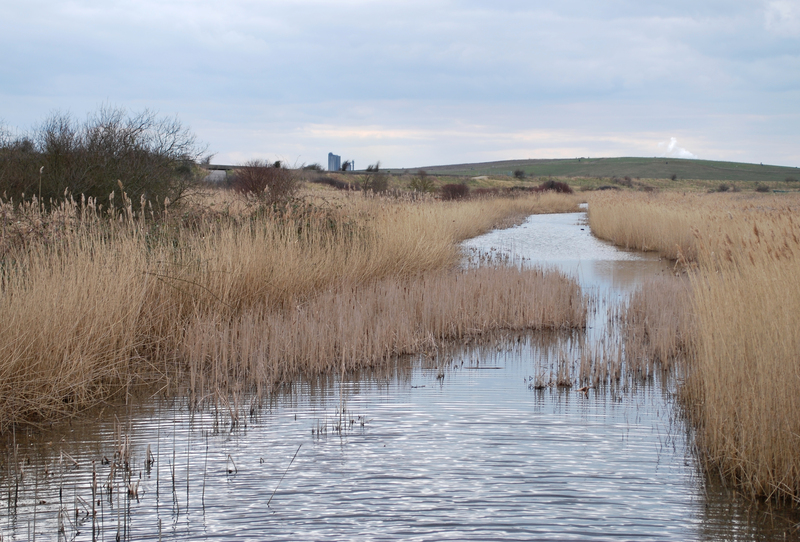 Still wobbly and feeling the distinct possibility of an oncoming bambi-style faint, I gingerly wandered out from the main visitor centre, it’s distinctive Bridget Riley-inspired facade shining in the glare from beneath the clouds, and headed towards the fairly recently completed Purfleet Hide. 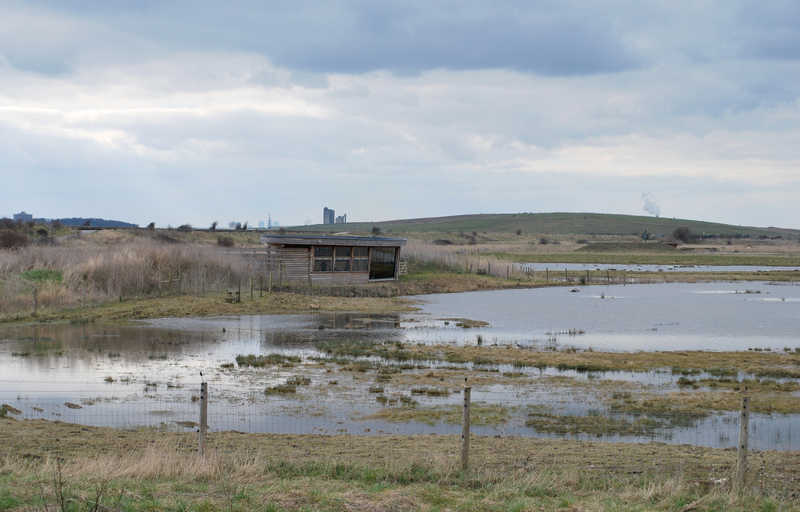 The hide is, as you’d expect, fairly small (although pretty big as bird hides go) and full of birdwatchers, as well as visitors to the current Art in the Purfleet Hide exhibition which runs until 21st April. 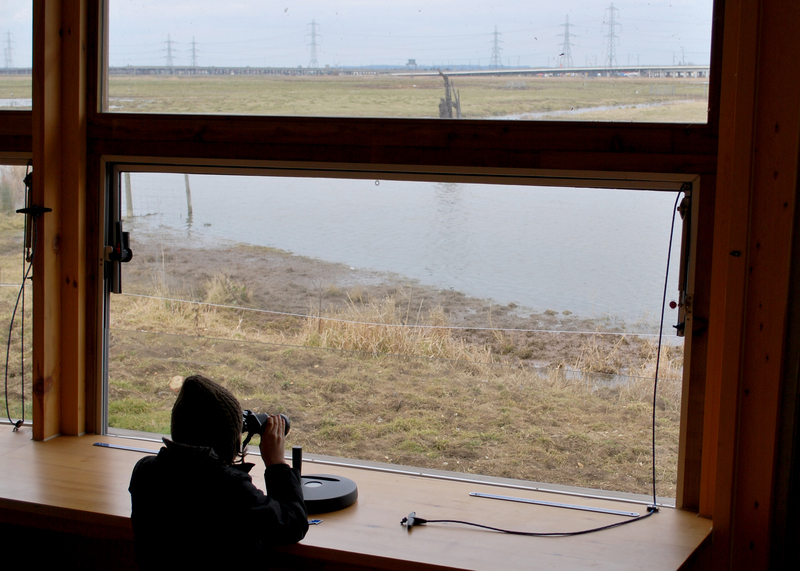 My enthusiastic nephew jumped straight on the binoculars and began spotting, whilst my dad frustratedly failed to catch a decent picture. 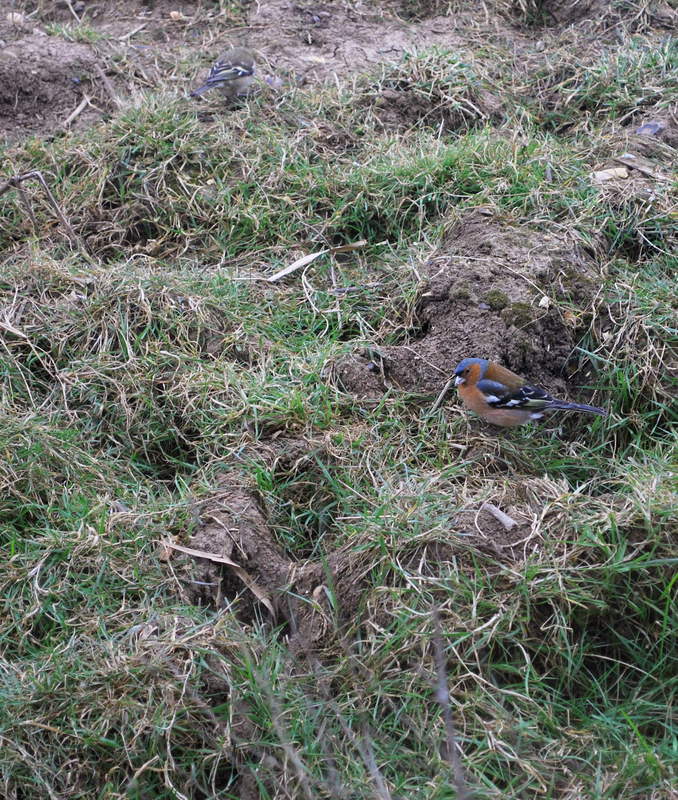 When asked intriguingly by a bystanding twitcher what he was trying to photograph, he unintentionally deadpanned ‘a bird’. 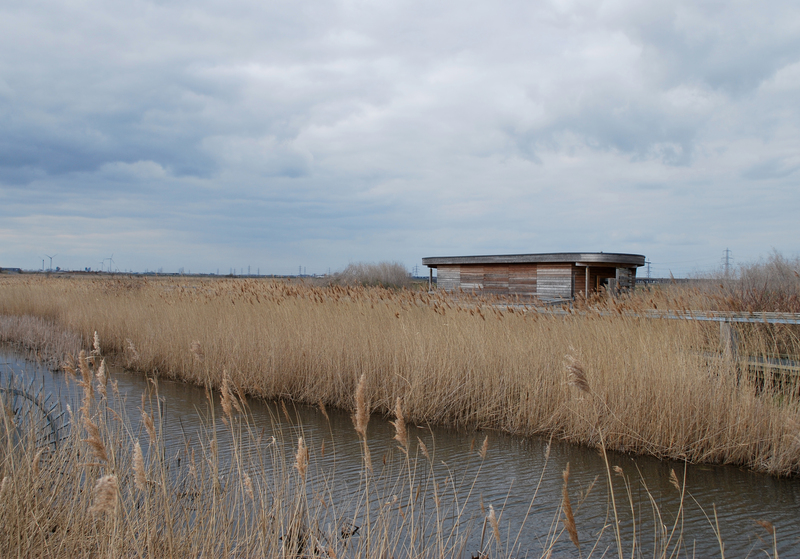 Within the landscape the hide is deliciously camouflaged, the surrounding reeds providing a kind of parallell-hued softness to the subsequent photographs. The weather was on my side. Originally disappointed at the lack of blue sky and sunshine, I soon realised that I was very happy with what I had: moody clouds, glare reflecting on the water and as such, some beautiful contrast. 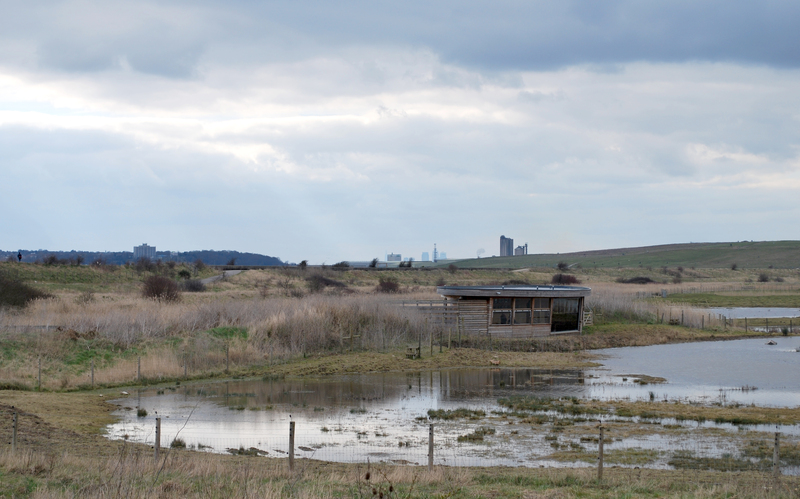 The site is most definitely worth a visit, even as a non-birdwatcher. 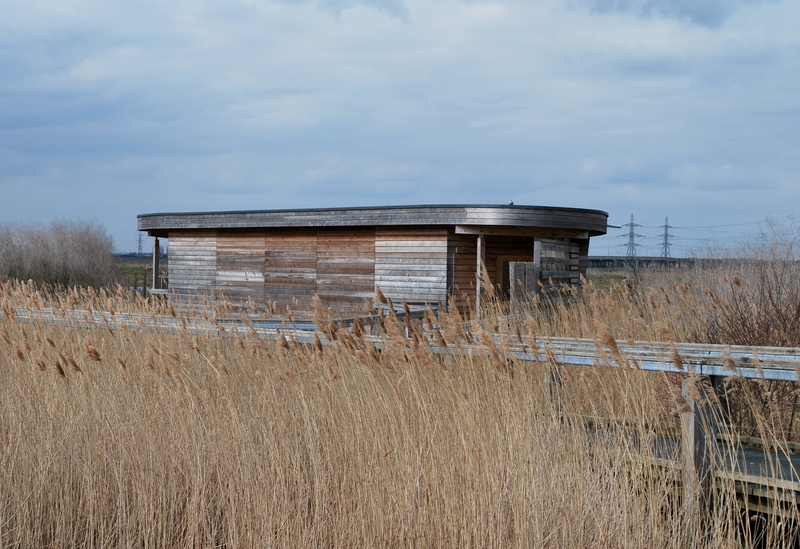 Take a walk around the whole reserve, relax in the award-winningly sustainable visitor centre, and check out the other hides I didn’t manage to wobble my way to, as well as the one I did. Find out more at the website and some further info about the architecture here and here. Absolutely beautiful! This summer I definitely intend to get out more and explore the countryside around my home. I could have and should have done that in winter too but nevermind, I have a plan.